Land Rover is one of the most well-known names to have originated in the United Kingdom and has unequivocally impacted the SUV industry. What makes this manufacturer particularly special is that its cars are incredibly beautiful, yet they do not sacrifice functionality. The magnificent Range Rovers exude authority on-road, and the Discovery range is cleverly-designed to handle off-road driving. 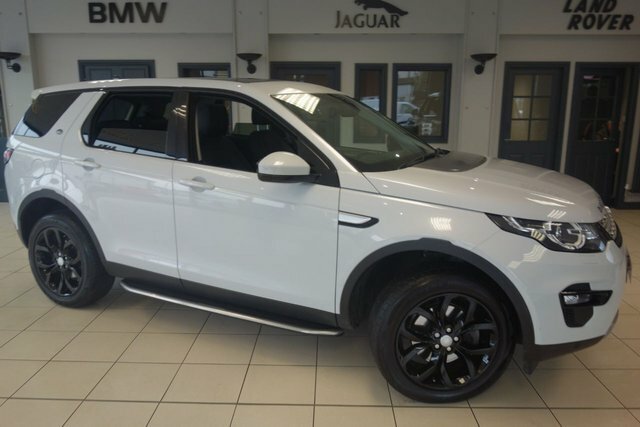 At Dace Motor Company Ltd, we price check each of our used Land Rover Discovery Sport cars daily, so we can be certain that they are the cheapest in Stockport! We are so confident in our prices, that if you see a like-for-like Land Rover Discovery Sport vehicle cheaper, we will gladly beat their price! Reaching Dace Motor Company Ltd from Stockport will take around half an hour via the M60. At Junction 24, exit onto the A57, then turn left onto Laburnum Road. Look for Reddish Lane and follow this road to Greg Street, where our dealership is based.